Like our creamy Dairy-free Tomato Sauce, this recipe for vegan Sauce Amandine is a variation from an old French recipe. It’s a super easy vegan sauce to make, and you can use it over any veggies that you like. 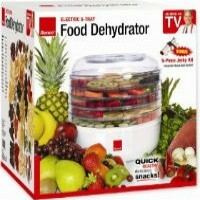 Add it to your holiday table over top of green beans or asparagus. Melt Earth Balance in the frying pan. 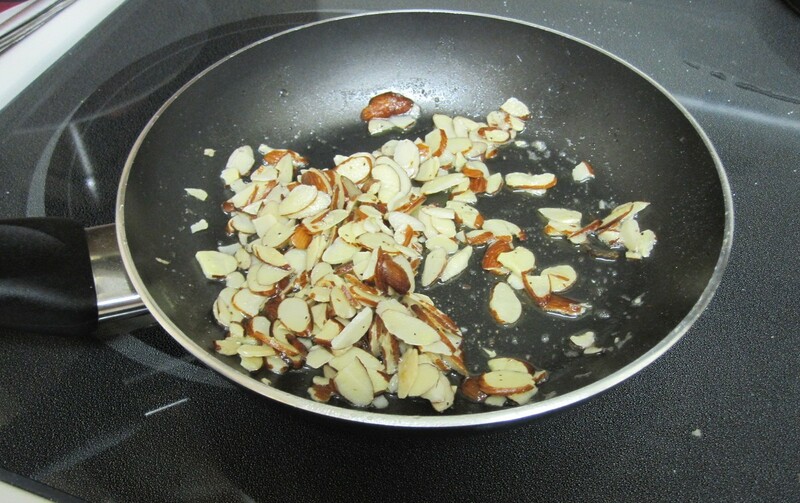 Add the almonds and brown for a minute. Add the vegetables and heat until warm. Add salt and pepper to taste. 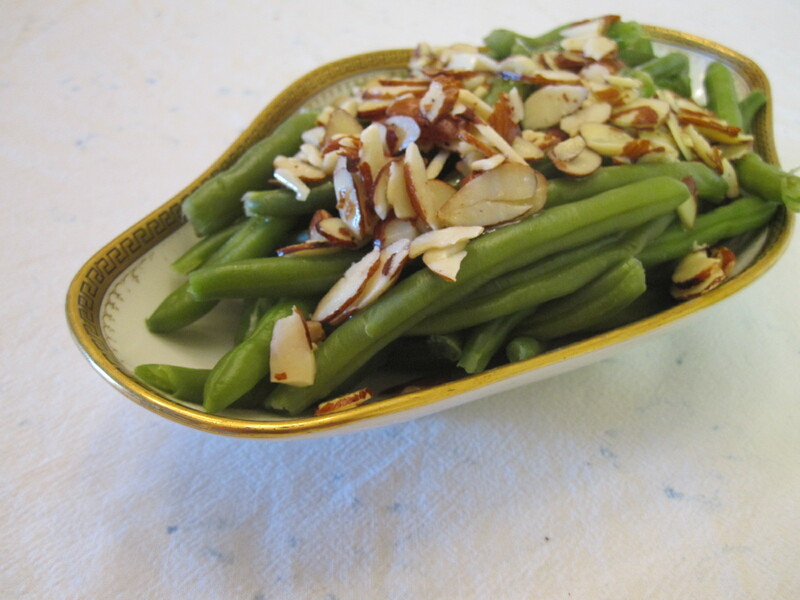 Let us know what you think of this easy vegan recipe: Vegan French Cooking: Sauce Amandine (Almond Sauce)!